In yesterday’s Portfolio Committee on Labour, the Commissioner of the Unemployment Insurance Fund (UIF), Boaz Seruwe, revealed that no more than 20% of domestic workers are covered by the UIF Fund. This means that the unemployment and maternity benefits of the UIF are not available to approximately 80% of domestic workers in South Africa. This is simply unacceptable and needs immediate attention. It was further reported that there is no plan to address the current communications breakdown between the UIF and employers of domestic workers who do not use the electronic U-Filing system. No emails, letters, or telephone calls are made to employers who submit payments manually, and no invoices or receipts are issued. The Fund is certainly not struggling for cash as it has invested assets to the value of R112 Billion and as of 28 February 2015, and has overpaid R218 million to registered workers. Yet not one cent has been paid to the 80% of domestic workers who remain unregistered. Instead of overpaying a small minority, the UIF should be focusing its efforts on ensuring all domestic workers are covered and receive the benefits that follow. However this is clearly not happening as the UIF’s Strategic Plan for the 2015/2016 financial year only targets a 4% increase in the number of new employer registrations by March 2016. I have today written to the Minister of Labour, Mildred Oliphant, requesting that she review the current Strategic Plan to ensure the target for increased employer registration is set far higher than the current target of 4%. This will go far in remedying the fact that 80% of domestic workers are unregistered and remain outside of the system. Furthermore I will push for the tabling of a communication plan for employers of domestic workers who do not use the U-filing system so that they may be properly registered to the fund. I, along with my colleagues Michael Bagraim MP and Derrick America MP, have begun engaging with the UIF Commissioner on this issue, with the aim of informing employers and domestic workers of their rights and responsibilities in terms of the Fund. 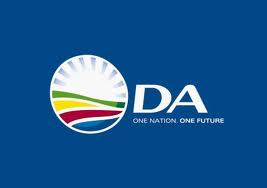 The DA will continue to fight for the legal rights of domestic workers as it appears government is doing very little for these vulnerable workers.